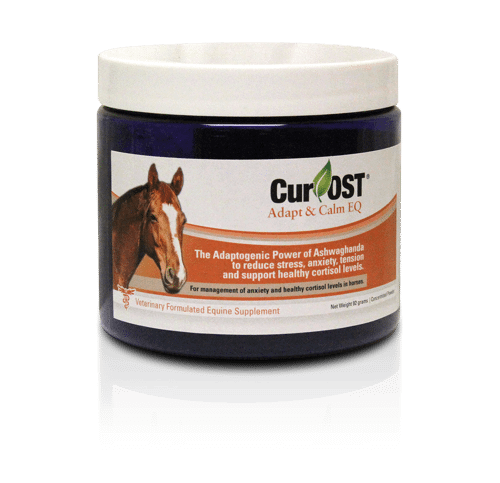 Cur-OST EQ Adapt & Calm uses the adaptogenic and research proven power of Ashwaghanda extract to manage stress and balance cortisol levels in horses. Promotes a calm, focused mind and a relaxed body for your horse. Benefits Cushing’s Equine Patients ! Our most popular calming supplement for horses! Seeking More Benefits? Check out our NEW EQ Adapt & Recover formula! 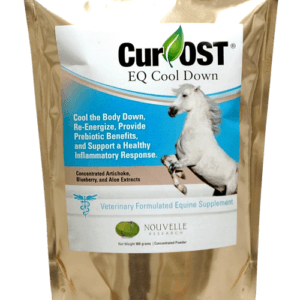 Cur-OST EQ Adapt & Calm uses the adaptogenic and researched power of Ashwaghanda to effectively manage anxiety, stress, and balance cortisol levels to produce a calmer, more focused, and well adjusted horse with no sedation. Also beneficial for cortisol support in the Cushing’s horse. Stress and Anxiety can contributing to behavior problems and a multitude of health problems! High stress levels are common in today’s world, resulting in excess cortisol production, impacting our equine companions on multiple levels, reducing their ability to focus and perform at their highest potential! Settle The Mind, Reduce Stress And Help Focus Their Attention. Naturally And Without Sedation! Reduce the signs of cribbing, pacing, weaving, bolting, rearing, trailering issues and overall anxiety! 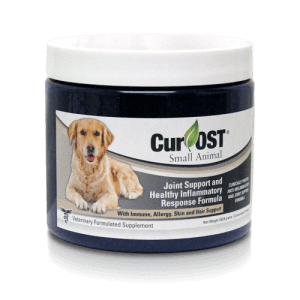 In Cushing’s Patients, we recommend combining with our Cur-OST EQ Total Support Formula for best results! Proven beneficial in those horses with gastric ulcers associated with stress! Low dose formula! Results generally in less than one week! 80% response in clinical trials with a 50% reduction in markers of anxiety in horses! 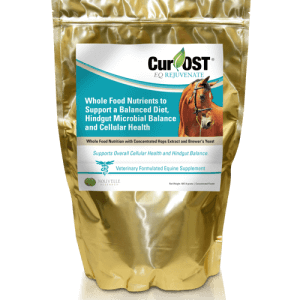 Excellent for General Health Support in Equine Cushing’s Patients! PLEASE NOTE THAT THIS SUBSTANCE IS BANNED IN EQUINE ENDURANCE EVENTS. How does the EQ Adapt & Calm formula work? The EQ Adapt formula utilizes a single concentrated form of Ashwaghanda, which has demonstrated research and clinical benefits in reducing the clinical signs of anxiety, helping to settle nerve tension and even support a healthy cortisol level, which is often associated with stress. What effect should I see in my horse? In most cases, we generally see a more relaxed and focused state of mind, ready to work and less distracted. Is the EQ Adapt formula safe to give with my horse’s other supplements? Yes, it is generally safe to use with other health supplements, but some caution should be utilized when combining with other anti-anxiety supplements or medications. Does the EQ Adapt & Calm contain any banned substances? Ashwaghanda is not on the printed banned substance list by the USEF or FEI. Banned substances tend to change quiet often, so it is generally recommended to get in touch with your sports organization for the best guidance. The EQ Adapt & Calm has been instrumental in my program. As stress has proven to be a trigger for my horse’s respiratory issues, it’s very important that we manage the stress associated with hauling and competition. Through the use of the EQ Adapt & Calm, he stays on his feed, he is focused and ready to work without no sedative side effects whatsoever. This product has worked awesome on my 4 year old barrel horse who is off the race track. He has a super mind and attitude but was conditioned at the track to be ” Ready to Run” from the moment you get on his back. This product allows him to still compete, fire in the turns, but he warms up and cools down like a normal horse now.